Tonight’s episode is about a woman driven mad by the slightest time alteration. The simple “loss” of one hour from her day sends this woman into a nightmarish world in which daylight arrives too soon and lasts too long, while night passes in the blink of an eye. You are about to join her…in…The Twilight Zone. You see, I am an Autumn person. Born in the Fall. I am a Night Owl. Born at 9:21 PM. I have always enjoyed being a beacon in the night rather than a washed out sunbeam in the full light of day. Give me the soft palate and shadows of a late-September or early-October afternoon, the trees adorned with red leaves and gold, and the sky a pale gray-frosted blue. The air is crisp and fallen leaves crunch under foot or, slightly softened, exude a tender, earthy aroma. 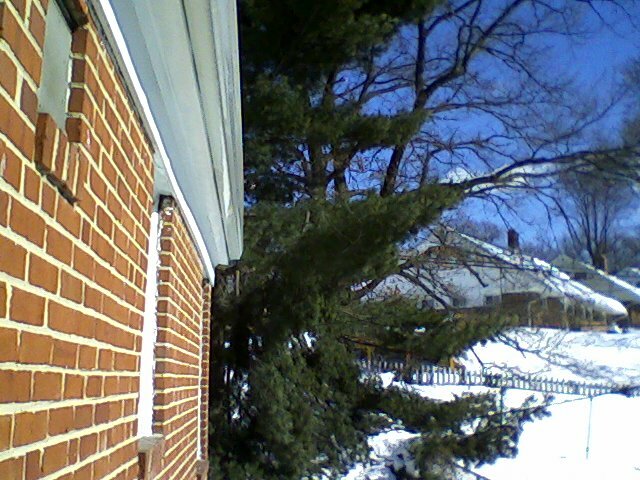 I can even stand the bright-blue glare of a winter sky after a snowfall, as I slowly shovel a path through the blanket of snow. But my finely tuned circadian rhythm cannot tolerate the initial burst of Spring light that accompanies the “loss” of one hour in early March. On that basis, I fooled myself into believing that I could survive this transition to Daylight Saving Time without feeling sleep deprived. This delusion lasted exactly two days—Sunday and Monday. By Tuesday, my brain was quite confused. But not in the expected way. Instead of consoling myself with the thought that it was “really” only an hour earlier than the time on the clock, my body began to react as if it were actually an hour later than the time on the clock. It felt like I had lost not one, but two hours from my day. I became sleepy earlier! Nine o’clock PM felt like 10:00 PM, and I would drag myself home, feeling exhausted and ready for bed—even when I had already had a “hibernation” nap late in the afternoon. But my “finely tuned” circadian rhythm goes awry the minute I cross the threshold of my home: I get that second wind—that burst of energy that makes me want to watch old movies and tv shows until the wee hours of the morning. Next thing I know, it’s 3 AM and I make myself settle down for the night. And a “minute” later, the sun is shining through the cracks of my curtains, my dog is stirring, and I realize it’s time to get up and start another bright, sunshiny day. My dog is none too happy with the change either. I set out her food first thing in the morning—after I have spent a good half hour trying to wake myself up. But she won’t touch it until 11 PM! Unlike me, however, she is happy to be outside for longer periods of time now. Especially now that all the lovely snow has melted. She was so confused about the disappearing snow! When about half the snow had melted, she would only walk on the snow-covered grass and manically dive head first into the snow layer, her brown-black face covered in snow when she surfaced. But she’s recovered much more quickly than I have. Today, she spent the afternoon sunbathing in her perfect spot in the yard. I, on the other hand, will only open the curtains a little—just enough to keep from having lamps on in the daytime. In time, we will both get back our rhythm. She will eat in the morning, and I will have shifted my sleep hours to more “normal” hours. For now, however, I’m still finding my way back from The Twilight Zone.